The Rural Production component of the Rain-fed Agriculture Project aims to organize small farmers in groups to develop productive economic activities. The SFD has strived to help small farmers by implementing a series of projects and initiatives, including forming, financing and training Rural Producer Groups (for both sexes) in various fields such as beekeeping, and sheep and goat fattening. In the district of Aslam (Hajjah) the SFD funded 27 producer groups to breed and fatten sheep and goats. The female members of "cooperation group" in 'Al-Dhahr' community, who are fattening sheep, stated that before they had joined the program, they would pick empty water bottles and sell them for recycling in order to make enough income to pay for basic food items, such as flour and tomatoes. Their situation has changed now that they can sell some of their products; now they can afford to purchase enough food. 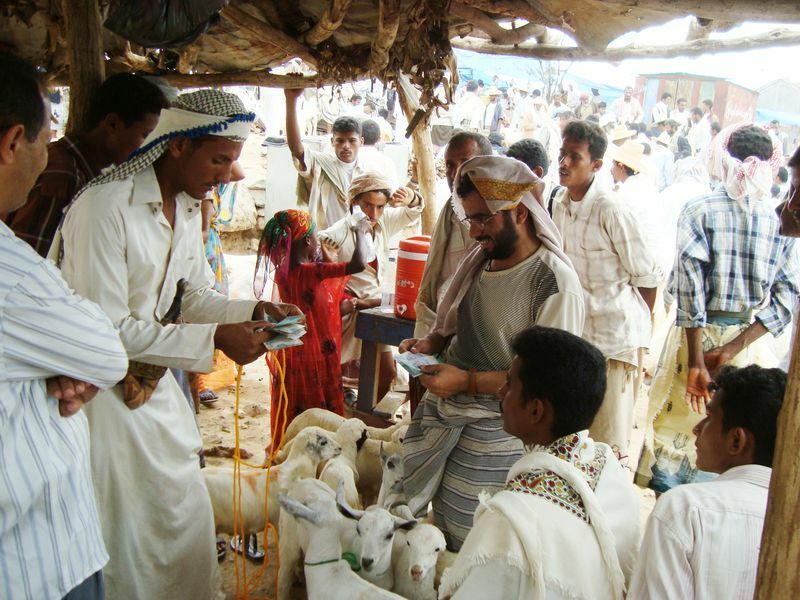 In the society of “Al-Hudhen,” Mr. Mohamed Ali Mohamed, a member of the 22 May Group, said that the SFD had financed 46 groups in his area in fattening and raising sheep and goats, in beekeeping, and in providing veterinary services. The SFD trained members of each group using specialized packages for each of these activities, covering health, nutrition, and the application of inexpensive time saving technologies. Mr. Ali Tayeb Ali, a member of the Union Group, says that his group continued its investment in 12 beehives, increasing the collection to 23 hives. He adds that the group members are now capable of producing honey more efficiently, without sacrificing quality. "We were not good at making honey. The SFD gave us training on the proper feeding [of the bees] and they gave us the Kenyan beehives, which we were not aware of before then. Working with them is easy as they have spongy covers. Before, we used to use animal residue and mud. We used to spend a half a day; now it takes one hour," continues Ali. He added that he had also communicated the lessons from the SFD’s training program to several of his friends working as beekeepers outside of the village. Ali also appreciated the SFD’s visits to the carpentry shops in nearby Haradh. In the more remote community of Alanbwah, district of Al-Maqaterah (Lahej Governorate), Mr. Hamoud Abdullah Mohammed, a member in 'Alwafa' group, said that the SFD had provided him with a 'rare' job opportunity as a veterinary technician after he had attended a two-month training course. Hamoud said that the owner of an infected animal was in the past forced either to travel to the district center looking for treatment, or to leaving the animal to die. "Now the situation is no longer the same. Now we are treating the livestock of Alanbwah, and if we encounter a difficult case, we contact the trainer. The SFD also gave us two shipments of drugs, and if I come across a shortage of drug, I buy it in order to complete the cycle of our investment," Hamoud concluded.